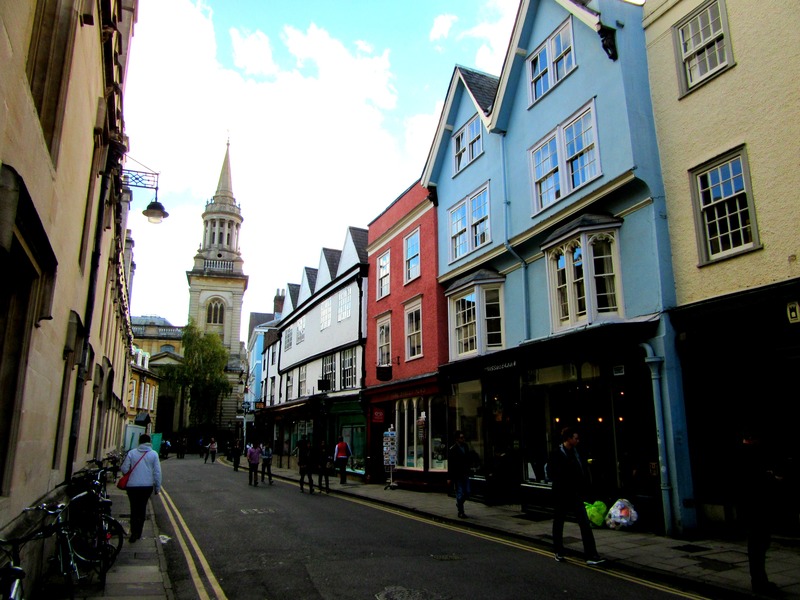 With only 24 hours in Oxford, we had a lot to squeeze in on our visit to one of the UK’s most popular cities. 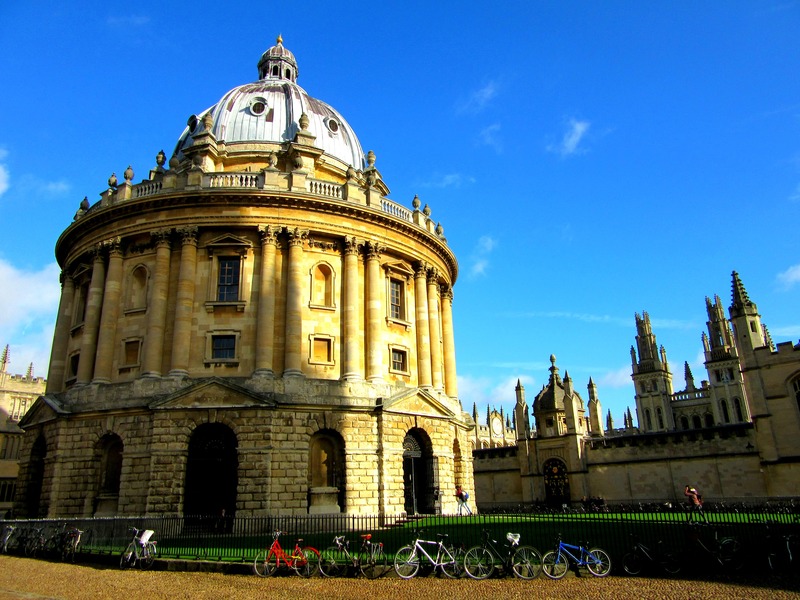 Only a couple of hours drive from London, Oxford is the perfect place for a short weekend getaway and has so much to offer both visitors and locals alike. 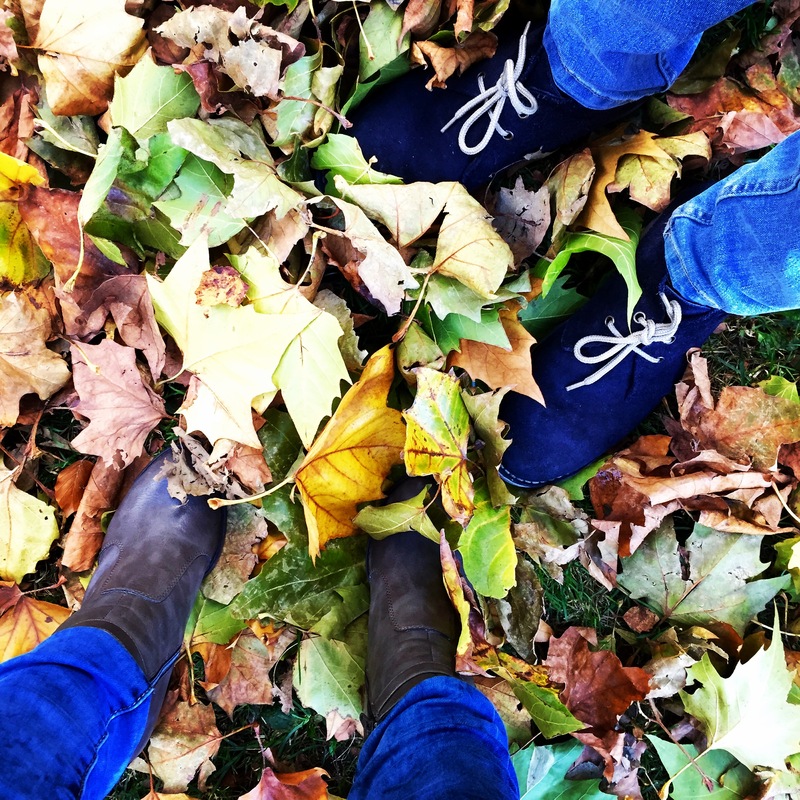 It was a chilly but sunny day when we arrived, the skies bright blue and the ground full of fallen leaves, making the city even more beautiful. Simply walking around the city centre we stumbled upon so much – people leisurely punting along the river under the Magdalen Bridge; the Carfax Tower with its views over the pretty city; and references from so many fantasy novels including Alice’s Adventures in Wonderland and The Lion, the Witch and the Wardrobe, that it felt like we were in a fairytale! Oxford is clearly a place that gave inspiration to so many writers. Even the streets were something to stop and look at, with pretty pastel coloured shops and houses, ornate street lamps hanging from the front of the buildings, and covered markets selling sweet snacks and vintage trinkets. Cornmarket Street was full of coffee shops and high street stores nestled inside old fashioned buildings that tilted precariously over the wanderers below. A tour of the Bodleian Library was a must for me, as I’m sure it would be for all other Potterheads out there, as this is where the library from the Harry Potter films is set. I oohed and ahhed as we walked through the university library with its long dark corridors and thousands of big old leather-bound books reaching as high as the ceiling. 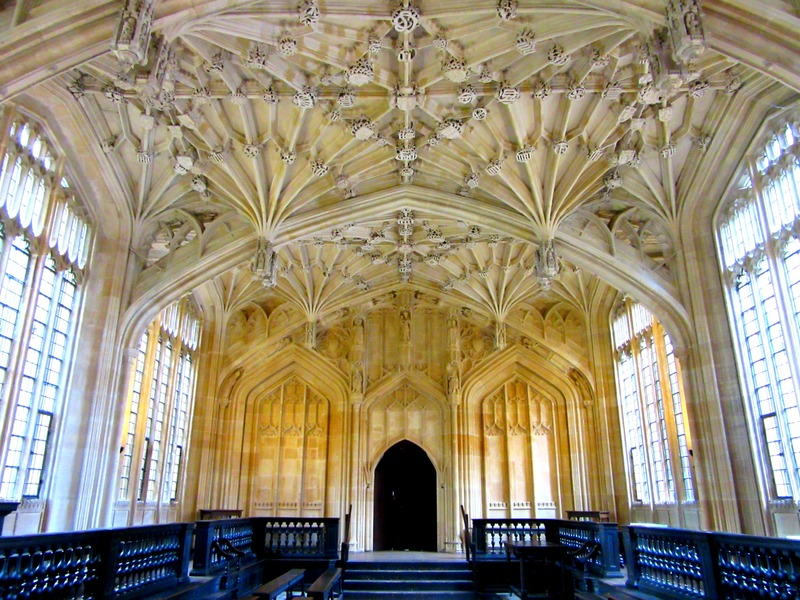 Below the reading rooms, the Divinity School with its gorgeous Gothic style ceiling was the set for the infirmary in Harry Potter. If only all hospitals were this stunning! It wouldn’t be a proper trip to Oxford without making a stop at a university. We visited Christ Church (which is pretty much a city of its own it’s so big) not only to stare in awe at one of the world’s most reputable universities, but mainly because it is home to some more Harry Potter locations for me to squeal over – the cloisters where Hogwarts’ students make their way to classes; the staircase where Professor McGonagall greets newcomers to Hogwarts; which lead up to the Great Hall where J.K. Rowling got her inspiration for Hogwarts’ Great Hall. 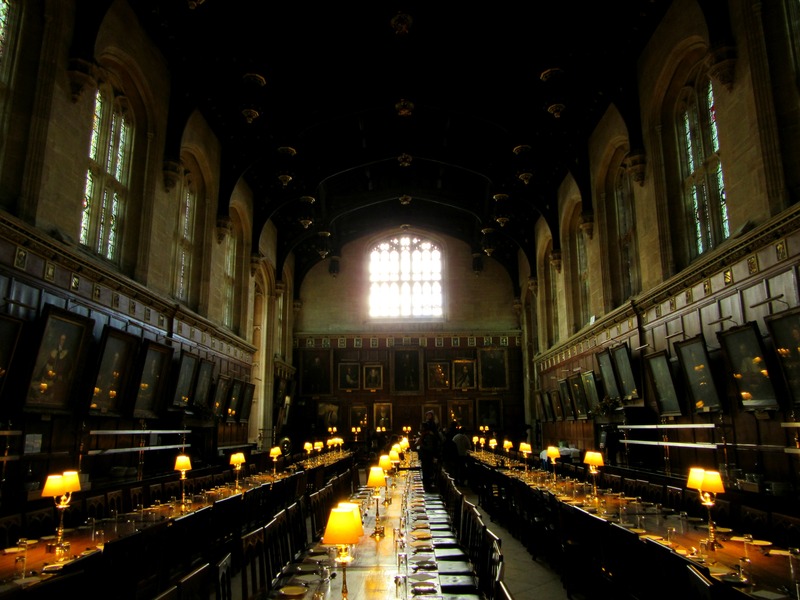 It was so much easier to imagine the Hogwarts’ students eating their breakfast here than it was to imagine the “real life” students of the University eating in this magnificent room! 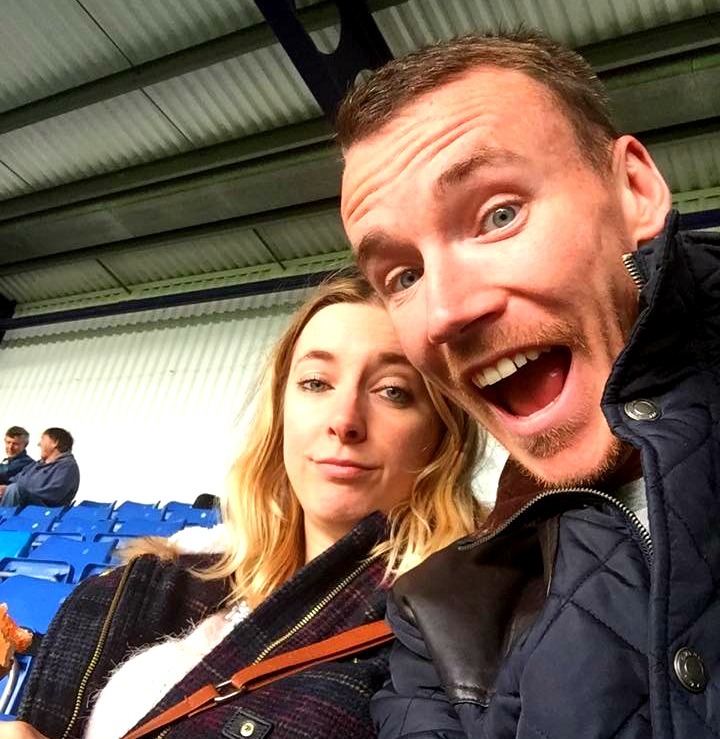 Because I’d dragged Mr Ayla along to all the incredibly exciting Harry Potter locations, he took his revenge by making me watch an Oxford United football game with him. Fun it was not. Considering we’d been in Rio de Janeiro’s Maracana Stadium watching Spain v Chile in the World Cup a couple of months before, watching Oxford United v Tranmere was not quite as thrilling a game! 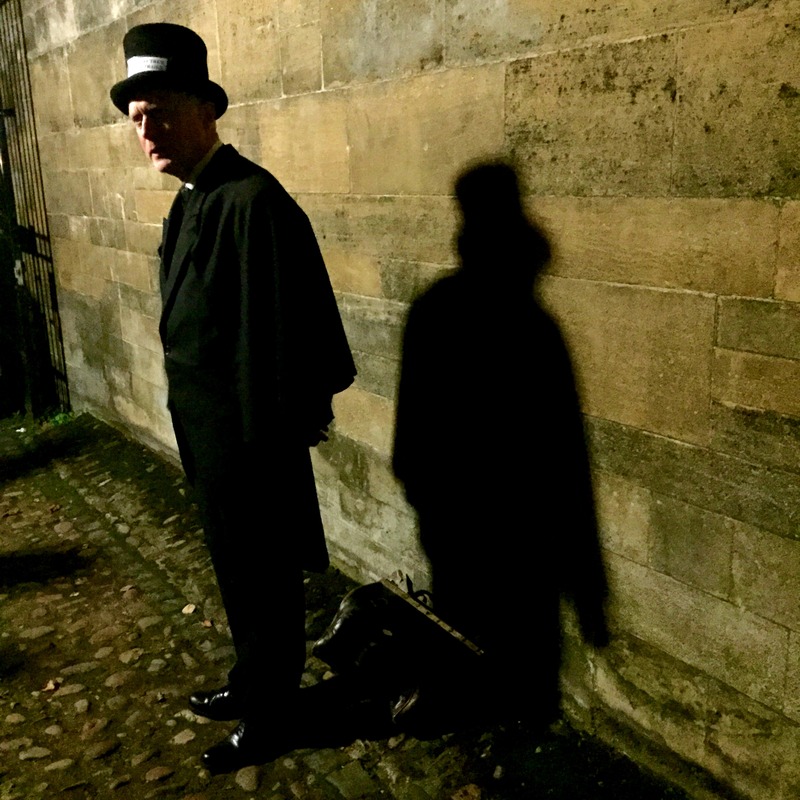 I’m not usually a fan of ghost tours but Bill Spectre’s Ghost Trail ended up being a highlight of our time in Oxford. Dressed as an undertaker in his long black cloak and top hat, Bill showed us around the historic city in the dark of night, telling us spooky tales, with some magic and lots of humour thrown in for our enjoyment. We also made a stop at the Pitt Rivers Museum to see all the weird and wonderful displays they have on show, from shrunken heads from Africa to ceremonial objects from ancient traditions all over the world. As we didn’t want to spend our whole weekend in the city and fancied doing something a bit different, we made an adventurous stop at Go Ape nearby in Wendover Woods where we spent an extremely fun morning monkeying around on their Tree Top Adventure. I wanted to explore so much more but, with a limited amount of time in a city bursting with things to see and do, we didn’t get to see everything that Oxford has to offer. Maybe because we didn’t have enough time or maybe because it was just too similar a busy city to London for my liking, but I didn’t find myself falling in love with Oxford like I do with most places. I’m still glad we made the visit to explore somewhere so close to home though, as the city is an extremely pretty one with enough to keep anyone occupied for much more than a quick trip. 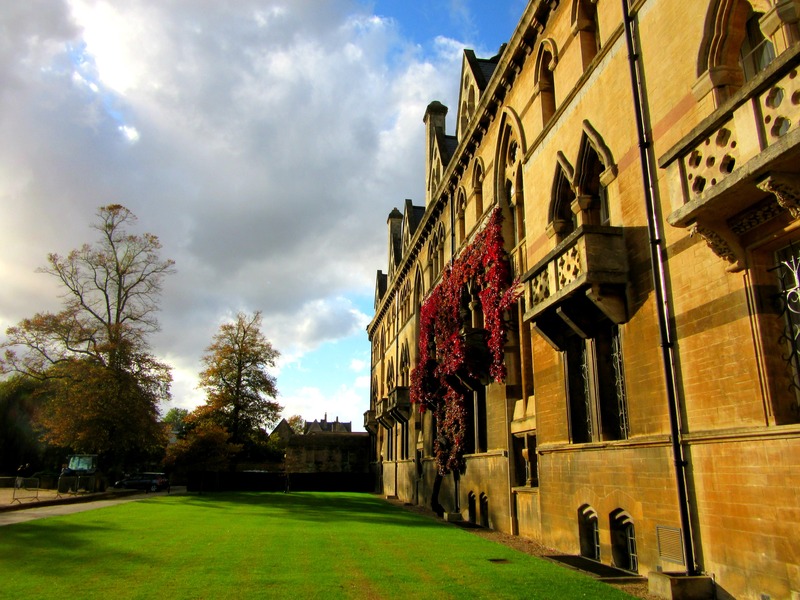 When did you visit Oxford? Either the weather was amazing or you have a really good camera. I love the selfie with you and Alex. HI-larious! Oh, i can tell you love the footy. Definitely shows that you thought it was 90 mins well spent! 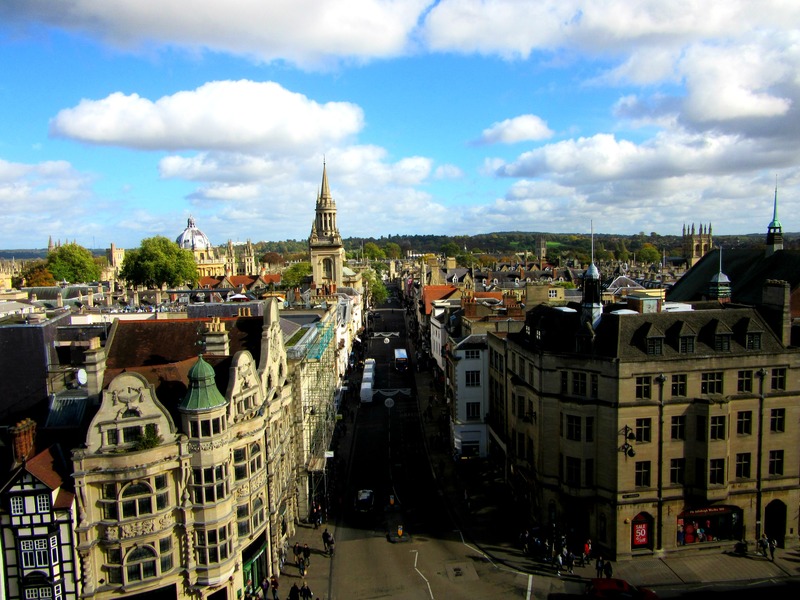 Loving the new blog makeover 🙂 And really pretty view from the top of Carfax Tower – everyone seems to be writing about Oxford at the moment – is it quite en vogue at the moment or something?! I went a few months ago and am only just writing about it now but I guess it’s an easy trip from London so maybe lots of people are taking trips there over the winter. Thanks – I get bored easily and wanted a change! LOVE your face in that selfie!! You look so impressed NOT! Great photos and such a lovely walkthrough of your day. Haha can you tell how much fun I was having?!?! Oxford is undoubtedly brilliant! Great post! Thanks, it’s a great city to spend the weekend in! Sooo cool! I’ve never been to Oxford before, sounds like fun! !